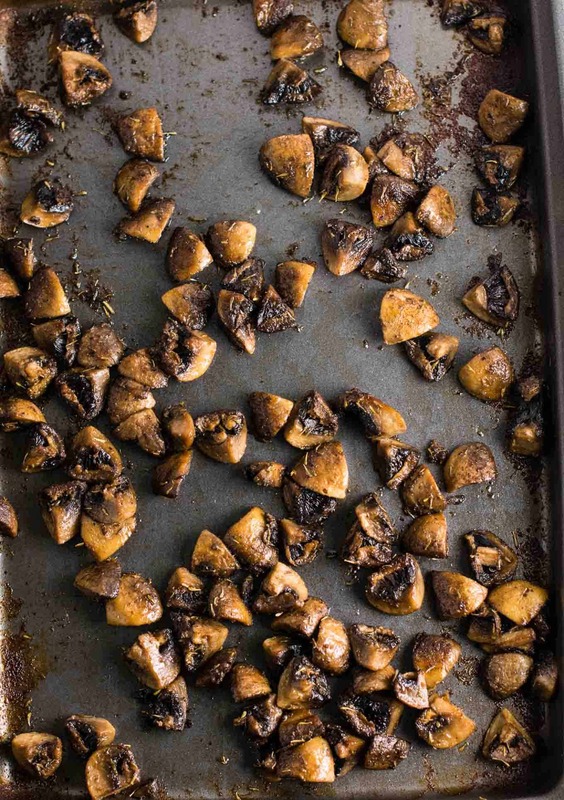 Easy roasted mushrooms are a healthy and simple side dish recipe. It’s no secret that I’m a mushroom lover. If you’ve followed many recipes on my blog, you would know just how much I love mushrooms! They are definitely one of my favorite vegetables. I can’t get enough and would seriously eat them for every meal if I could! I love roasting mushrooms for great depth of flavor, and ended up eating half of this recipe for my lunch after taking the pictures for this post! They were juicy and roasted to perfection. These have SO much flavor. To make the mushrooms, quarter each whole mushroom and add to a bowl. You will need 24 oz of mushrooms, as they cook down quite a bit. This recipe will serve around 4 as a side dish. 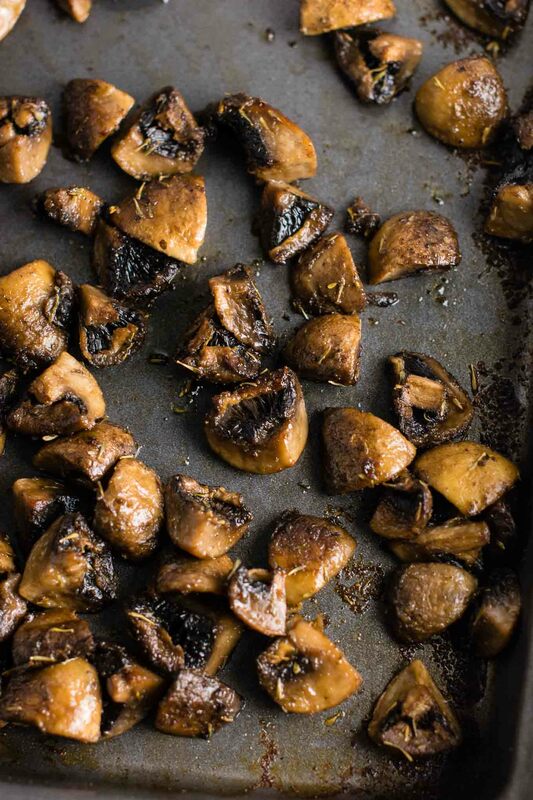 Once you’ve quartered all of your mushrooms, add salt, pepper, garlic powder, onion powder, thyme, and olive oil. Use your hands to toss until mushrooms are well coated in the oil and spices. 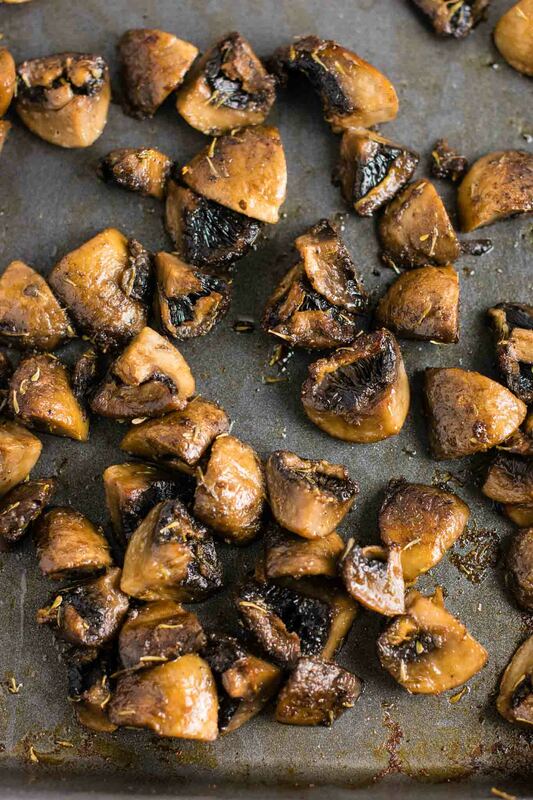 Crank up your oven to 425 degrees to get these mushrooms nice and caramelized. High heat = faster cook time + great flavor. I love roasting vegetables at high heat for these reasons! Roast for 10 minutes, and remove from the oven to flip/stir. Roast an additional 10 – 15 minutes, until all water is evaporated and mushrooms are juicy and caramelized. Serve with your favorite dinner! Are you making this recipe? I want to see! Don’t forget to tag your recipe pics on instagram @buildyourbite and hashtag #buildyourbite! 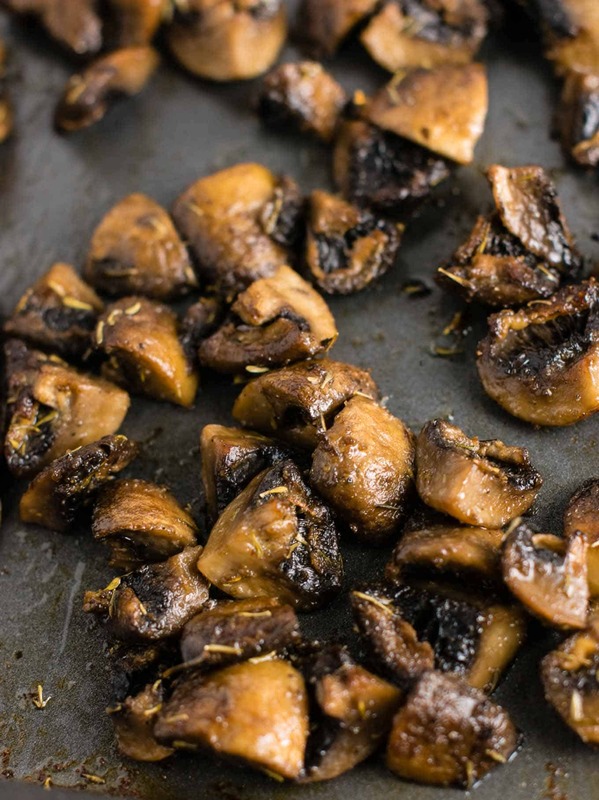 These easy roasted mushrooms are a simple and delicious side dish recipe!